Biosketech: Professor Zhao received his B.S., M.S. and Ph.D in Mathematics from Peking University (China), University of Southern California and UCLA in 1990, 1992 and 1996 respectively. He went to Stanford University as Garbor Szego Assistant Professor in 1996 before he joined UCI in 1999. He is currently Professor and Chair of the Mathematics Department and Professor in Computer Science at UCI. 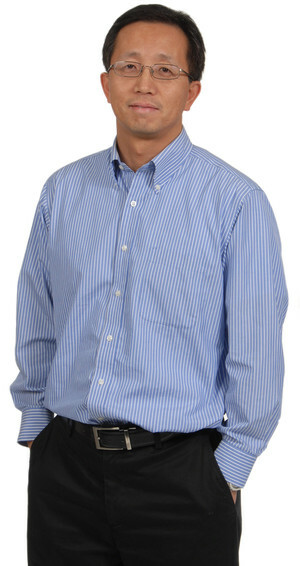 Professor Zhao received A. P. Sloan Research Fellowship (2002-2004), Feng Kang Prize for Scientific Computing in 2007 and Chang-Jiang Guest Professorship at Peking University in 2009. Professor Zhao' research interest is in computational and applied mathematics that includes modeling, analysis and developing numerical methods for problems arising from science and engineering such as moving interface problem, level set method, fast sweeping method, image processing/computer vision, imaging and inverse problems.